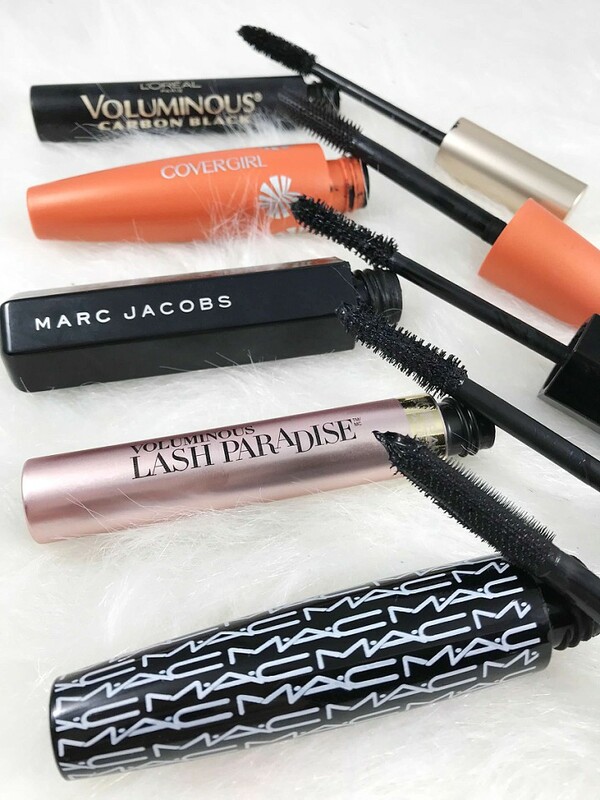 When it comes to top mascara these 5 are must must haves. I think mascara is the one beauty item (aside from lip balm) I could not live without. There is something about a bare face without lashes vs with lashes. Mascara literally wakes up my face. I have tried so many over the years but these stand out. I can typically tell by one try if its for me or not. It has to instantly lift without a ton of coats. It can not be too thin, too dry or too wet. 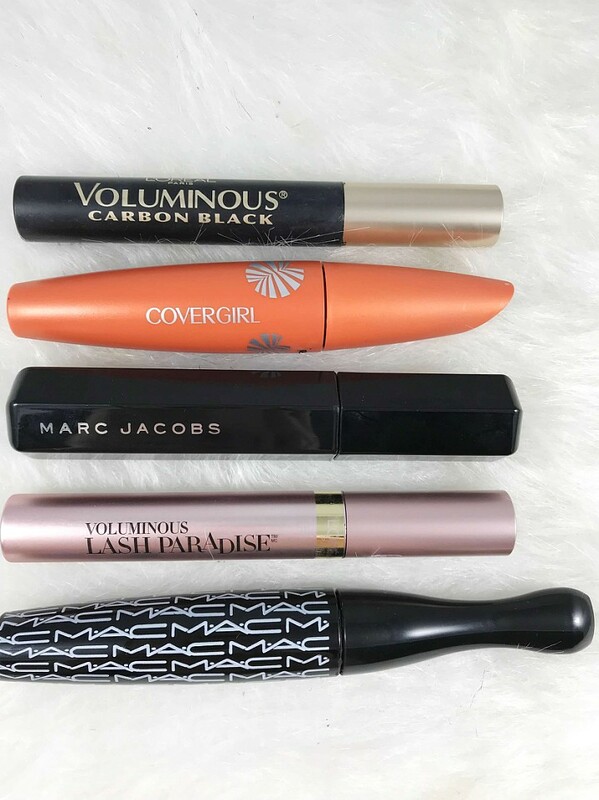 All of these mascaras give me the length and volume I am looking for when it comes to a Mascara. They are not mentioned in any special order. If I had to say which ones I use the most it would be the L’Oreal Lash Paradise and the MARC Jacobs Velvet Nior. However when I wear any of these I have been asked if I am wearing false lashes or what type of mascara do I use! L’Oreal Paris Voluminous Carbon Black – SHOP IT HERE: This is such an oldie but goodie. Loved by many Celebrity MUA’s and its under $6 at Target This was my first real mascara I used once I started to wear makeup as a teen. It may not have been the carbon black but it was this original L’Oreal. I honestly probably saw it in Allure and went out and bought it. 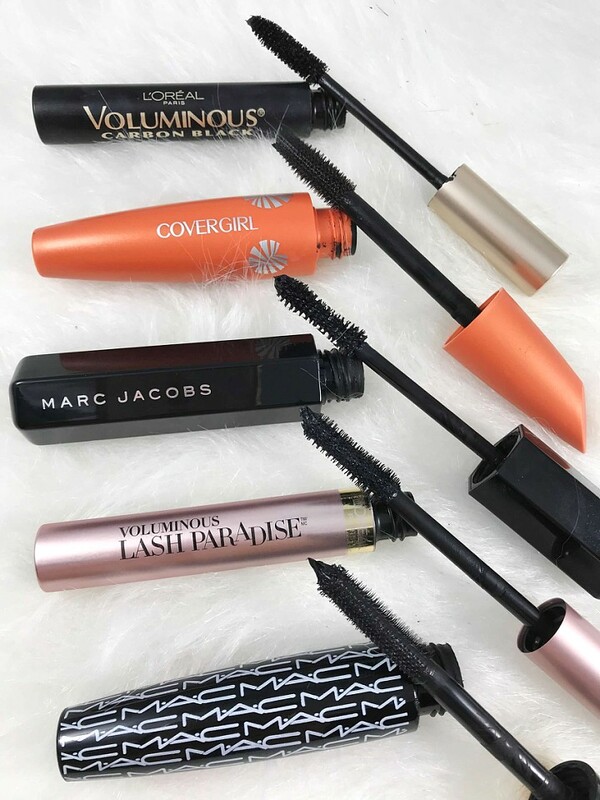 Cover Girl Lash Blast – SHOP IT HERE: This is the mascara that re introduced my love to drugstore mascaras. In my 20’s when I started making a bit more money I splurged on Bad Gal Lash By Benefit and Dior Show. Both which are fabulous but in recent months was not as impressed as I once was (Marc Jacobs is to blame). When I got engaged I said OK I need to cut back some and my sister in law loved this one so I tried it. What can I say? The volume and length is there! Its under $7 at Target. MARC JACOBS Velvet Nior – SHOP IT HERE: I was just recently introduced to this mascara when Marc Jacobs sent it to me. I have heard non stop things about it but I try not to give in to hype on products. Ohhhh the hype is real. This mascara I use the most along with my Loreal Lash Paradise which I can easily say is its drugstore dupe. Kinda… Either way you must try this! Sephora sells a Mini version which I think is great. See it HERE It gives you all the length and volume you want without feeling clumpy or dry. L’Oreal Lash Paradise – SHOP IT HERE: I am obsessed!!! Especially because its drugstore and I literally live for amazing drugstore finds. I pair this with the L’Oreal Lash Primer (which is another must have) and its even better with the primer! The ONLY problem I have with this mascara is it appears to dry out fast. However it works so well for me and I get compliments ALL the time I will not let that be a deal breaker. Find it HERE at Target for under $10!! MAC In Extreme Dimension – SHOP IT HERE: This is the newest mascara I have tried. Iw as sent this as well by MAC Cosmetics and for as much of a MAC Junkie I am (See my INSTAGRAM HERE) I have never really tried their mascara. Crazy I know. I follow so many MAC MUA’s on the gram and they swoon over this and now I know why!!! What are your top mascara choices? I am always looking to try out new ones especially from the drugstore! If you have not tried any of these out I strongly strong suggest them all. Like I said I wear the MARC Jacobs and the L’Oreal Lash Paradise the most but I reach for them all. They are constantly being re purchased or will be repurchased. DISCLAIMER: Some products were sent for editorial consideration. Links associated with BPAMC are affiliate links. Thank You for your constant love and support to Beauty Products Are My Cardio.